TT EXCLUSIVE!! 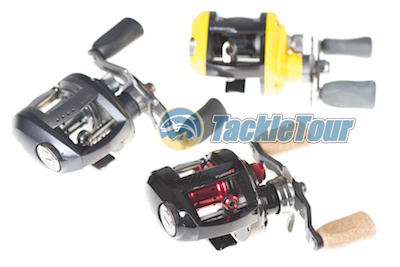 : Daiwa's PX/PXL Type R is Here! Introduction: Wouldn't you know it? 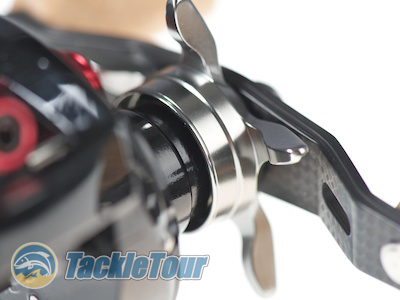 Just as our review of the Japanese Domestic Market (JDM) PX68 goes live, we catch word of some pre-ICAST information about Daiwa USA, and the news is rather significant. The reel we had anticipated for over a year is finally coming to US shores. It's finished differently, has a slightly different name, but from baseline appearances and specifications, it is nearly the same reel. What's more, availability on this reel is not three months out, it's not one month out, no, we were amazed to discover the PX Type R, Daiwa USA's version of the Pixy PX68, is available right now! We've taken this opportunity to acquire an early production model of this reel and compare it to its overseas sibling. 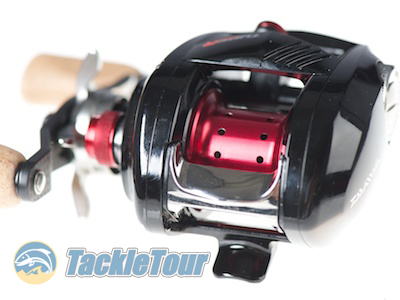 Impressions: The fact that Daiwa USA had plans to bring this reel over to the North American Market was probably one of the worst kept secrets in recent memory. But with leaked information comes inconsistent reports on features and specifications. Bits and pieces of information turn to conjecture which in turn become expectations from hungry fans. Among other things, we've heard the reel will have a cast control knob and star drag with micro-clicking adjustments, a more robust drag than the PX68, greater line capacity, be lighter, and have a fancier handle. The PX Type R was being touted as far and above that of the JDM model. 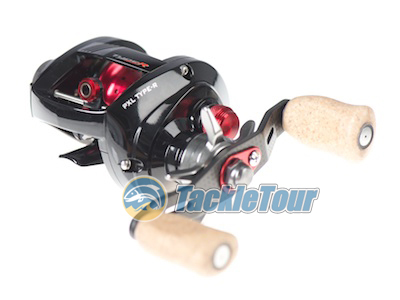 Daiwa's finesse baitcaster, the Pixy, is finally making it over to North America. 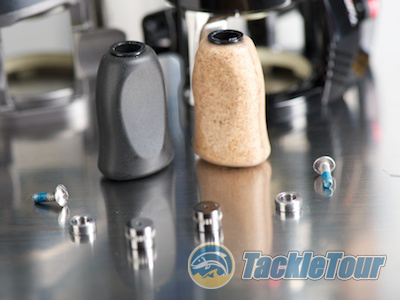 You know what claims of this and that mean to us here at TackleTour. That's right, first stop for the PX Type R was an appointment in the lab where we broke it down comparing it to the Pixy PX68. 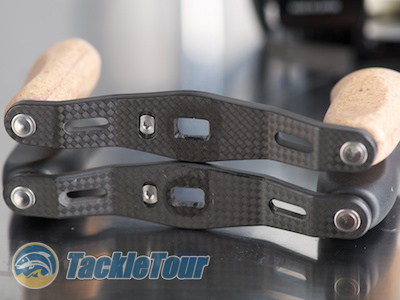 It will be officially unveiled at ICAST 2011 as the PX Type-R (right hand retrieve) or PXL Type-R (left hand retrieve) but is already hitting store shelves! The Clickies: Star drags and cast control knobs with micro-clicking adjustments were once discreet indicators of a quality, high end reels. Manufacturers have caught onto this check mark and are now including this in reels in all price points. 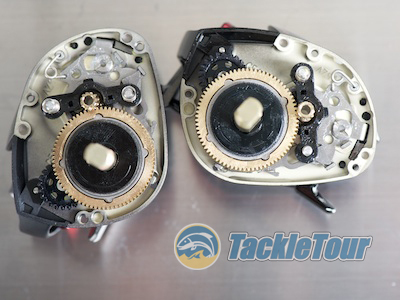 Whether these features are available in a reel priced around one hundred dollars or not is a bonus, but these characteristics are expected of reels priced at three hundred dollars or more. The Pixy PX68 has none of these adjustments. The PX Type R has a clicking star drag, but not a clicking cast control knob. One major difference? The dragstar on the PX Type-R is micro-click enabled. Weight: Daiwa's Pixy baitcasters have long been touted as the lightest baitcasters available in the market today. The Pixy PX68 weighs 5.6 ounces right out of the box. That's lighter than Daiwa's flagship reel, the Steez, and equal to what we tested the Shimano Aldebaran (JDM version of the Core 50) to be. So is the PX Type R the new light weight king? Not at 5.8 ounces it is not and you can thank the clicking star drag for the weight difference. 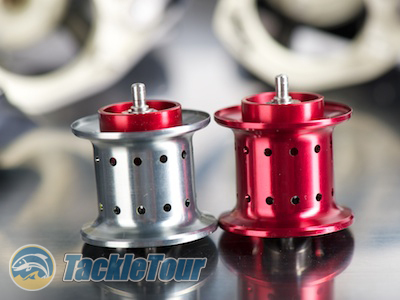 Is the North American market ready for a true, shallow spool baitcaster? We compare the guts between the Pixy PX68 (left) to the new PX Type-R (right). 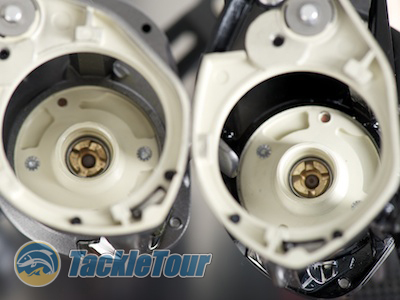 The Guts: So, what about the reel's internals? 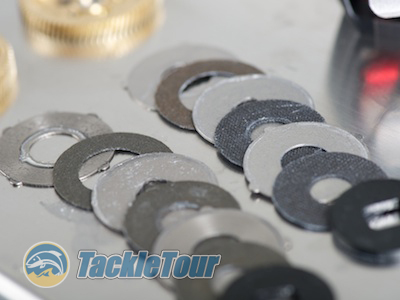 We took it apart to see if there were any other true differences between the reels other than the finish, overall weight, and micro-clicking adjustments. Handle: The handles on both reels are the same save for the knobs. The PX Type R features cork knobs with a clear coat finish to them while the Pixy PX68 features rubber coated cork knobs. One enhancement here, however, is the fact the PX Type R features two bearings per knob versus the PX68's one bearing and one bushing. But the Pixy PX68 features rubber coated cork knobs, while the PX Type-R features clear coated cork knobs. The Pixy PX68 surprisingly only has one bearing under the knob. At the other end is a rubber bushing (shown here on the left). The PX Type-R features two bearings under each knob hence the bearing count difference. Spools: Other than their respective finishes, the spools in both reels are identical meaning their respective line capacities are the same. We filled the PX68 with about seventy five (75) yards of ten pound Sufix 832 braid. The spools are identical save for their finish. Drag: We did not test the limits of the PX Type R's drag, but we did disassemble it to compare against the PX68. 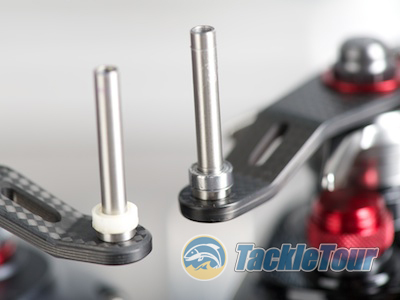 The components are again, identical so we expect no significant difference in performance other than the slight variations you might experience between reels of the same build. Again, they appear to be the same. 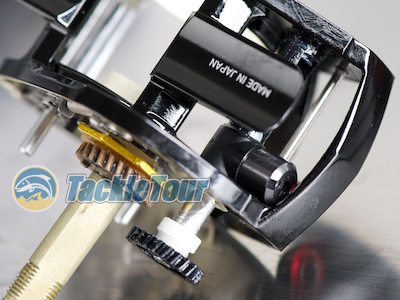 Levelwind: Knowing that the PX Type R had an extra set of bearings under each knob in the reel's handle, we took a look at the levelwind to see if Daiwa USA enhanced this feature as well – they did not. The PX Type R has a bushing supported levelwind worm gear just like its JDM counterpart. And no, the PX Type-R does not feature a bearing under the worm drive for its levelwind either. Next Section: How about compatibility with the original Pixy?